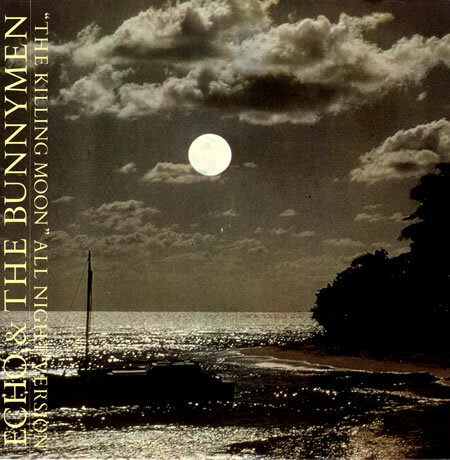 The Killing Moon is a single by the band Echo & the Bunnymen. It was released on their 1984 album, Ocean Rain. It is one of the band’s highest-charting hits, reaching number nine in the UK Singles Chart. According to the liner notes of Echo and the Bunnymen’s Crystal Days box set, Ian McCulloch woke up one morning with the phrase “fate up against a whale” in mind. He wrote it down but then decided to change it to ‘your will’ later. Read the four star review of a recent performance in London here.